Heavy Metal Mania: Album Covers: Art or Satanism? Album Covers: Art or Satanism? For years Heavy Metal music has been accused of being "Satanic" or "sacrilegious". Whether or not this is true is up to artistic interpretation. That's exactly what Heavy Metal is, it's art, it's music, it's ideas expressed in a dark and sometimes disturbing way. Let's review some popular Metal album covers are debate whether or not they truly are "Satanic". Iron Maiden's 3rd album, The Number of the Beast, hit the stage in 1982 and instantly became a classic. It is perhaps Iron Maiden's most recognized album and one of the most iconic metal albums of all-time! The album's title song ,"The Number of the Beast" is the song most often slandered as "Satanic". These claims are simply untrue. In a 1983 interview, Iron Maiden bassist and main lyricist Steve Harris states on the song's subject matter, "Basically this song is about a dream. It's not about devil worship." Iron Maiden has laughed at these claims throughout the years and has gone on to use "The Beast" as somewhat of a nickname for themselves. 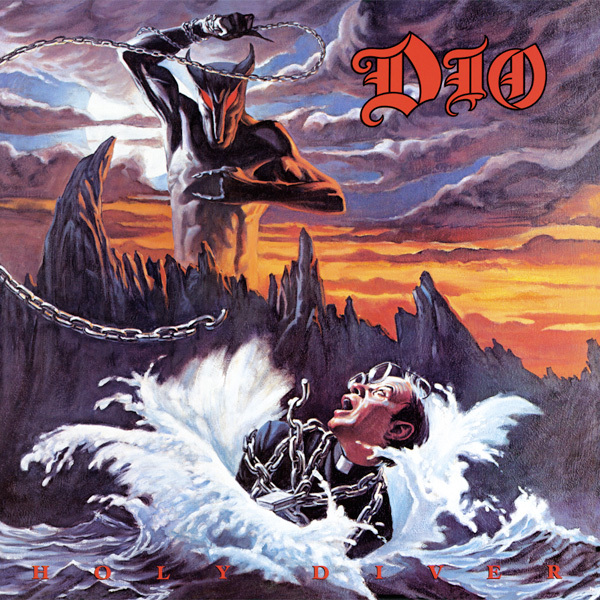 Dio, piloted by lead singer Ronnie James Dio, stormed the scene with their debut album Holy Diver in 1983. The record spawned hits such as "Rainbow in the Dark" and "Holy Diver" while Ronnie James Dio would go on to become one of metal's most prolific and talented vocalists. From the first glance of the album cover, it looks like a demonic Satan like figure is chaining up a man and doing some wicked act to him. The demonic figure is no spawn of Satan, but instead it is Murray, the mascot that appears on most of Dio's album sleeves. Murray's story is an interesting one and has nothing to do with the devil, the link to his bio is below. The music on the album in fact makes no mention of the devil or Satan. There is no derogatory or foul language, it is 100% clean, 100% Metal, and 100% NOT Satanic! 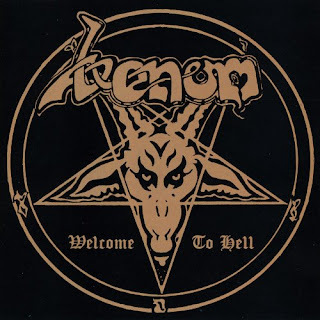 Venom's debut album, Welcome to Hell, hit record stores in late 1981 and was a huge shift in the genre. It is regarded as one of the first true Speed Metal albums and a pioneer of the Black Metal movement. A general darker tone was felt on songs such as "Welcome to Hell" and "In League With Satan". It influenced many Thrash Metal bands such as Metallica and Slayer. An album such as Welcome to Hell does introduce some satanic themes that are present throughout the entire album. When there's a song titled "Live Like An Angel(Die Like a Devil)", it's hard to dispute any claims of Satanic context. However, it is merely an act and those quick to accuse Venom of being satanists should learn their backgrounds before doing so. In a 2015 interview with blabbermouth.com Venom Lead vocalist and bassist, Conrad "Cronos" Lant, attests on Venom's satanic imagery "we're normal people. But then we put on a show... Gary Oldman played Dracula in a film, but if you met him for an interview, he wouldn't be sitting there with fangs." There is a definite separation between expressive music and real life personality for many rock/metal bands. 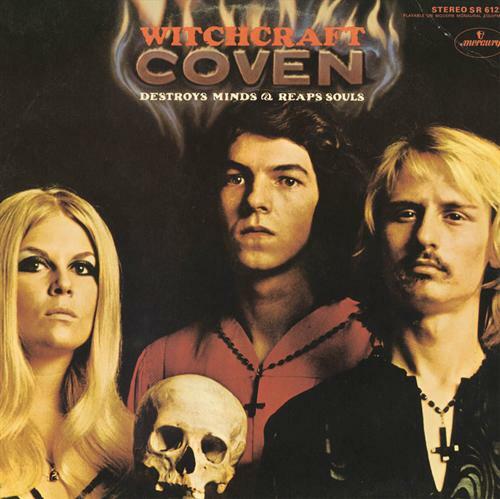 Coven's debut album from 1969 brought a new element to psychedelic rock. Lead vocalist, Jinx Dawson, brought her shrieking vocals to life on Witchcraft Destroys Minds and Reaps Souls. Coven's sound and image is definitely heard on later bands like Black Sabbath, Black Widow, and Behemoth. Yes, Coven's members submitted to Satanism and the wicked acts that come along with it. This was the first music album to feature the "sign of the horns", the inside sleeve features various people including the band members flashing the sign while a naked Jinx Dawson lay flat on a table, (link below). It is true that Coven was a true satanic and occult themed band, though why this is a problem in the first place troubles me. Is Satanism different than any other religion or belief? Well that's an argument for another day, but as far as this one is concerned... Coven is a satanist band and proud of it! Are there any other album covers that are confused for Satanism ? Leave a comment on some of your favorites!